There was more success for the ŠKODA Motorsport works team in the FIA World Rally Championship (WRC) at the Rally Sweden. In the second round of the WRC2 championship, Swedish pairing Pontus Tidemand / Jonas Andersson claimed their first win in the WRC2 at their home event, as they dominated in year’s only snow and ice rally. The Rally Sweden is the second round of the FIA World Rally Championship (WRC) and the only true snow round on the calendar. This 18-stage event has 332 kilometers of competitive distance and takes place on frozen roads, many of which are lined with unpredictable snow banks. ŠKODA works driver Pontus Tidemand extended his lead at the Rally Sweden. Sweden’s Motorsport Athlete of the Year 2016 successfully mastered the infamous Colin’s Crest jump twice on Saturday and was once again the dominant man in the WRC2 category with five stage wins on day three of his home round of the FIA World Rally Championship (WRC). ŠKODA works driver Pontus Tidemand from Sweden has taken an early lead in the WRC2 category on icy routes at his home round of the FIA World Rally Championship (WRC). The 26-year-old and his co-driver Jonas Andersson dominated day two of the Rally Sweden, although the majority of Friday’s action took place in neighbouring Norway. 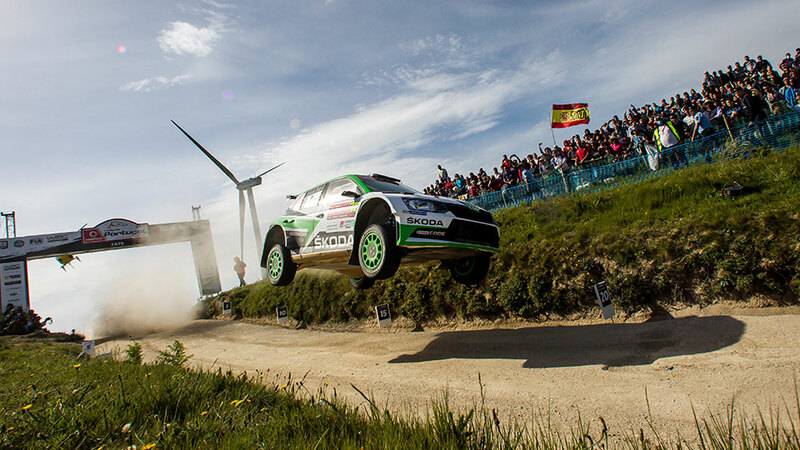 ŠKODA works duo Pontus Tidemand / Jonas Andersson go in search of victory at their home round of the FIA World Rally Championship (WRC) with the distinction of being named Sweden’s motorsport athlete of the year. Andreas Mikkelsen / Anders Jæger in the ŠKODA FABIA R5 led from start to finish to win the WRC2 category at the Rallye Monte Carlo, the season opener of the FIA World Rally Championship 2017.